Long-loved, and often long-lived, old-fashioned plants are just as nice now as they were when they were first planted. Often called “heirlooms,” these classic plants should be treated as such — family treasures passed down through generations. Whatever you call them, one thing all they have in common is that they’re easy to care for and aren't prone to pest problems. It’s fun to hear the different common names many old-fashioned plants go by. While some say “bachelor’s button,” others know the same plant as “cornflower” or “ragged sailor.” Thankfully, we can rely on the botanical names to figure out what we’re talking about. 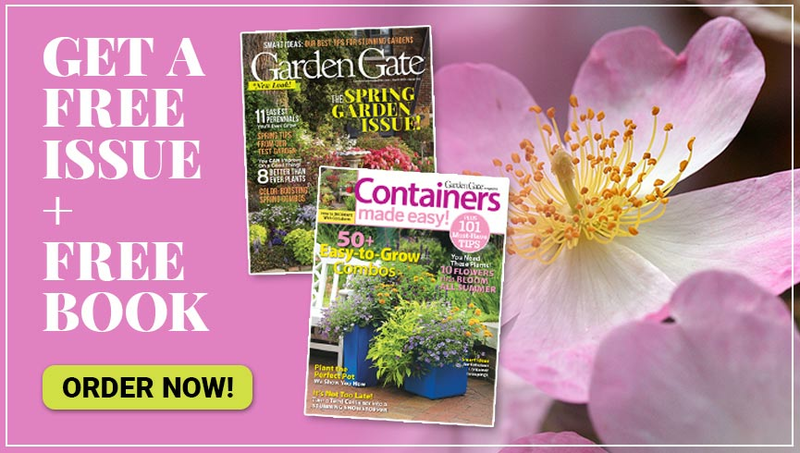 Unless you know someone already growing the old-fashioned plants you want, you’ll probably have to start your own. 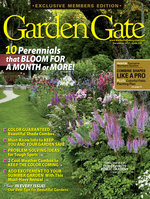 Some can be a challenge to find at the garden center but each of the plants profiled here has an online source. Now let's take a look at some classic old favorites. 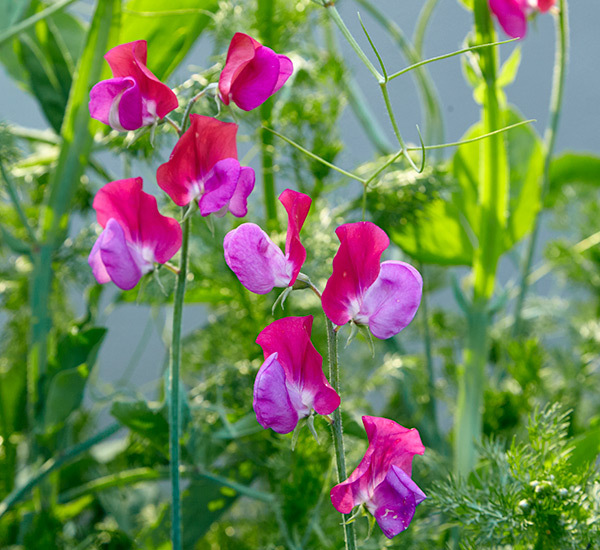 Sweet peas like cool weather so plant seeds very early, as soon as the soil can be worked. If you live in USDA zone 8 or warmer, sow seeds in the fall to enjoy their wonderful fragrance before it gets hot. There are lots of varieties in a wide range of colors but ‘Cupani’ (also sold as ‘Cupani's Original’) is more heat-tolerant than most and intensely fragrant. Though bachelor’s button is often found in shades of pink, white and blue, ‘Black Gem’ is an old variety with gorgeous deep burgundy blooms. Sow seed outdoors in late winter in the South or early spring in more northern gardens. Plants branch out with lots of long stems, creating a spray of colorful ruffled flowers. Deadhead often to prolong blooming and maintain healthy plants. But leave a few blooms to go to seed late in the season. This variety will come true so you'll have that same beautiful color year after year. When you want cut flowers for bouquets zinnias can't be beat. 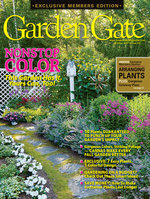 There are are some of the easiest plants to grow and come in a wide range of colors and sizes. Dahlialike ‘Benary's Giant Mix‘ in the photo, is a traditional favorite. 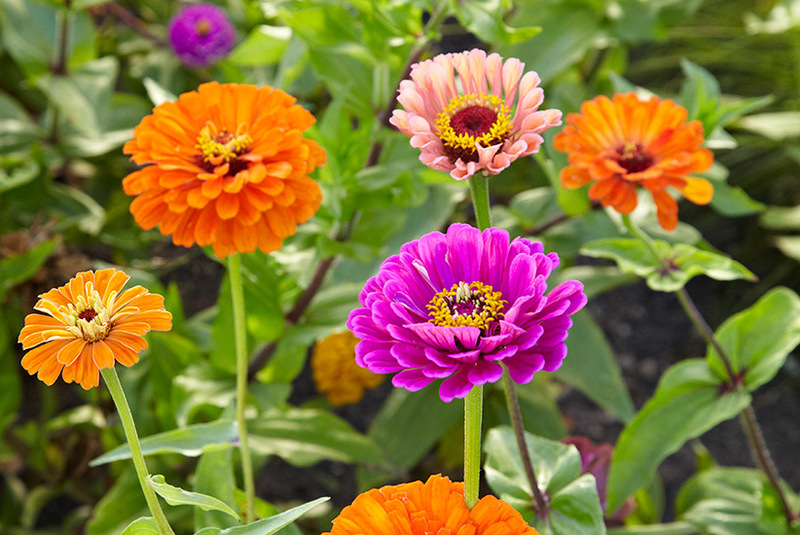 Sow zinnia seeds directly in the garden after the threat of frost is past, about 6 inches apart. Thin seedlings to 12 inches apart to provide good air circulates which helps prevent two common leaf problems — leaf spot and powdery mildew. Keeping plants watered during dry spells being careful not to get the foliage wet also helps. A true blue flower? How could anyone forget that? They are few and far between. 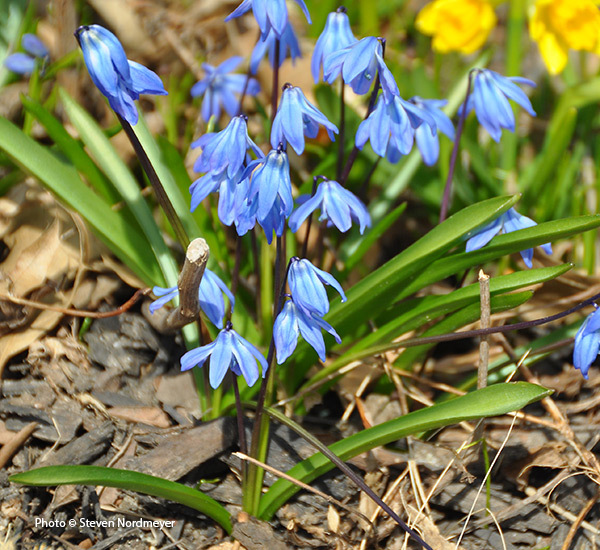 Enjoy a spectacular spring show by interplanting this pretty sky blue bloomer among daffodils. Its compact foliage makes a good ground cover or edging at the front of the border. 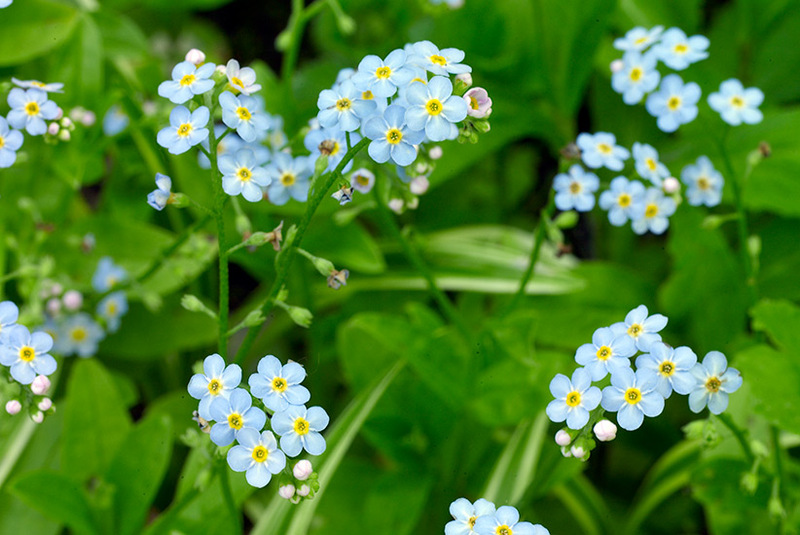 Technically, forget-me-not is a biennial, but plants self-sow so freely, filling in an area over time, that it seems like a perennial.